C.F. Martin 0-18 1966 | HOLD | Nice example of a small-bodied Martin produced at the height of the folk boom in the 1960s. The 0-18 comes in a small package but delivers quite the sonic surprise. Hence, the 0-18 is preferred by fingerpickers and studio musicians for its balanced sound and playability. 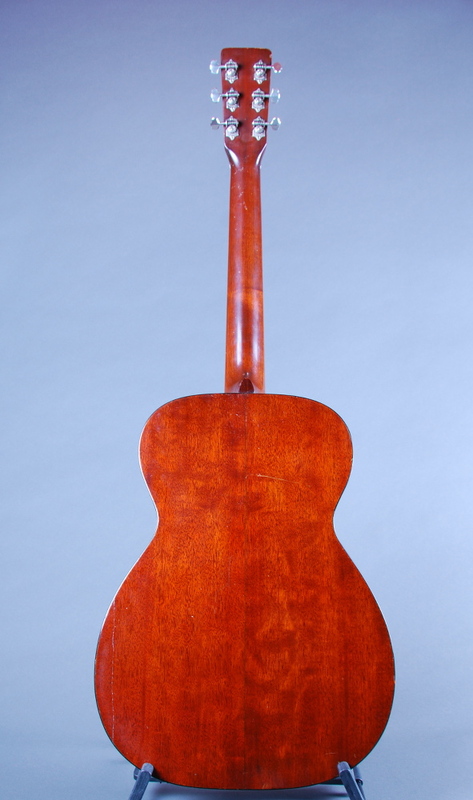 The 0-18 has a mahogany body and neck, spruce top, and Brazilian rosewood bridge and fingerboard. The body measures 13 3/8” across, and the scale length is 25”. The fingerboard measures 1 5/8” across at the nut. 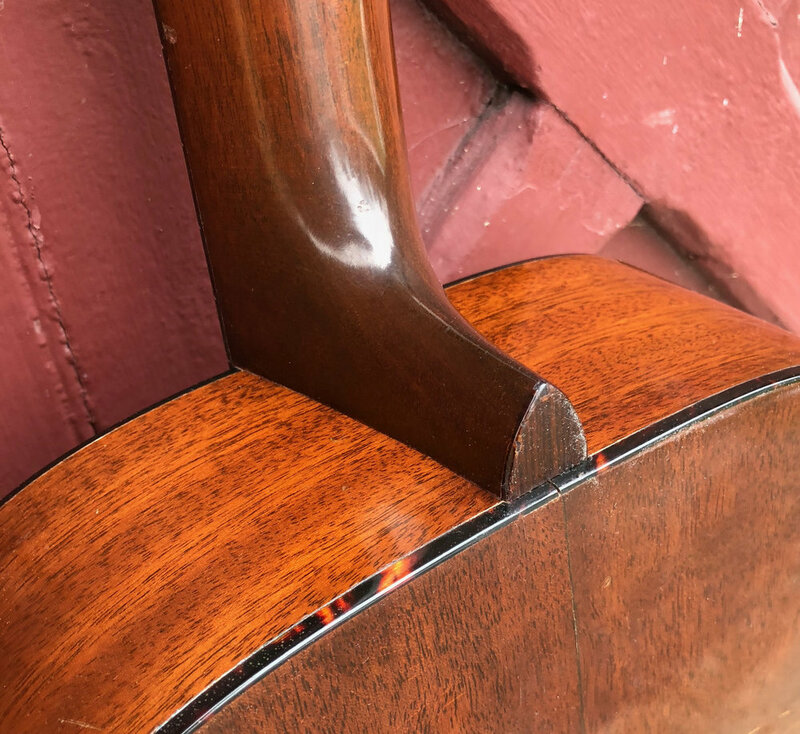 The guitar is in excellent structural condition, with its original finish intact. There are various nicks and dings from wear, a repaired pick guard crack, and some seam sloppiness around the perimeter of the bridge from prior repairs. It came to us with an ebony replacement bridge (cracked), non-original tuners and a repaired pick guard crack. 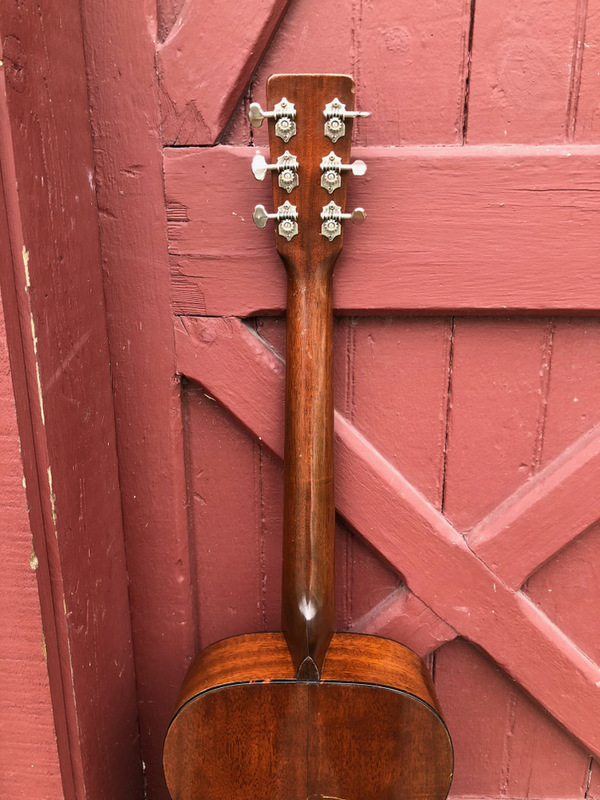 We sourced and installed an original sixties-era Martin bridge and a set of original Grover tuners from the period. We completed a neck set, and installed a new nut and saddle. The frets were leveled and dressed. The bridge pins appear original; the guitar is missing its endpin. Action is set at 4/64” and 6/64” and the guitar plays easily. The sound is very strong and full .. check out the sound clip. Comes with a soft case.